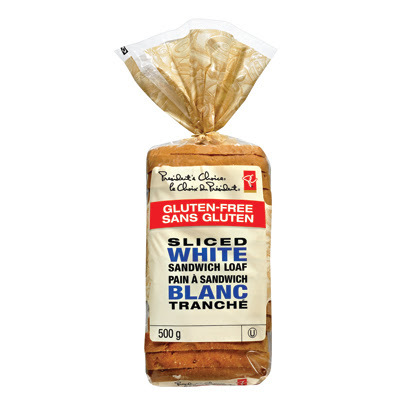 I am SO excited that my local grocery store is carrying the new President's Choice gluten free line! I live in a very small community, and it's exciting when new gluten free foods are introduced. 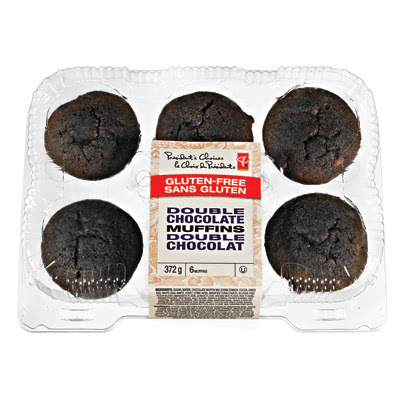 I'm always skeptical with GF baked goods, but this line is actually pretty good. My family and I haven't tried all the products, but the ones we have tried are great. I have to admit, I'm impressed with this bread. It's my second favorite bread so far! ( kinnikinnick soft bread takes first place!) In my opinion, this product is best toasted. It makes delicious grilled cheese and french toast. My family and I have been testing out this bread for awhile now, and we've noticed a few things. When the bread is not toasted it crumbles easily. It can also become very dry and stiff if left out. I would suggest keeping this bread in the freezer. 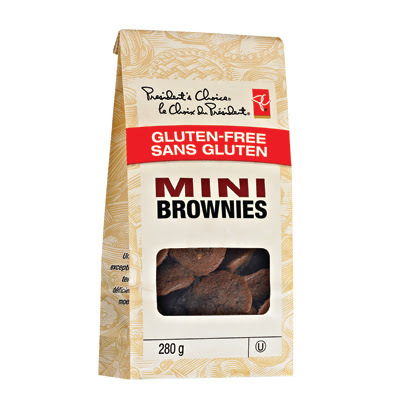 These mini brownies are to die for! I was so surprised when I took my first bite. I was prepared for a gritty, rice flour tasting brownie. But, I was thankfully wrong. They taste almost identical to any regular mini brownie bite. They are chewy, soft, rich and have a delicious chocolate taste. These are definitely a favorite in my home. Overall I would highly recommend purchasing all four of these products. 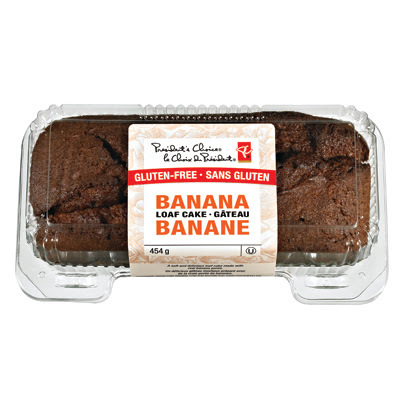 Throughout the past few years, I've stumbled upon many horrible gluten free baked goods. It's so refreshing to find products that are a good price range, delicious and convenient. I can't wait to try the other President Choice GF items!